Christmas celebrations at Vera & John are in full swing, but it is not too late to join in on the fun. 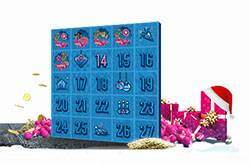 The casino offers some fantastic promotions this year, and you can open the door to a new promotion every day with their Christmas Advent calendar. The casino is handing out free spins, raffle prizes, mystery gifts and many other prizes. You can open a new door every day at 11:00 CET. On top of that, the casino also offers additional promotions, for example free spins promotions for Christmas-themed games. You can find the promotional details for each daily promotion and the other special promotions in the terms and conditions of the respective promotion. We recommend that you read the terms and conditions before participating, as free spins or bonuses may be subject to wagering requirements. You will also need to have made a previous deposit in order to participate in these promotions. If you haven't played at the casino yet you can also get a generous welcome bonus and play with additional funds. Just after Christmas, the casino will host a slot tournament with a top 200 players will get the chance to win prizes from a €10,000 prize pool. Yggdrasil also celebrates Christmas with their own network promotion where you get the chance to win a share of €500K. The promotion runs until 3 January and consists of missions that you need to fulfil. There are several missions to fulfil on different days of the month, and there are also slot tournaments where you compete against other players. The full details of the promotion can be found in the promotional details at Vera & John. What's great at Vera & John? Vera & John are an established online casino with a fantastic selection of games for many developers, as well as many interesting promotions. The casino has been around for a long time, which speaks for its professionalism and trustworthiness, and many players are happy to play there. More information about the online casino, payments, bonuses, bonus terms and games is available in our detailed Vera & John review. Take a Look at the Vera & John Casino Advent Calendar Now!